We would like to signpost parents to KOOTH an online support for children from the age of 10 years. It is a NHS funded organisation that offers wellbeing support, advice and counselling. Children can sign up to its services on the homepage. Kooth has trained counsellors that will reply to messages sent from a child. There are also age appropriate forums that children can be part of. Teachers of our Year 5 and Year 6 children will be discussing this support network with their classes over the next couple of weeks. They will not be suggesting that all children access it but making them aware that it is another organisation like ChildLine that they can use. 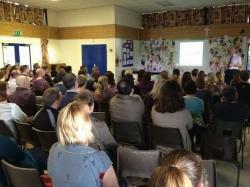 Our regular e-safety evenings attract a wide audience of parents, carers and staff. If you would like any further details please do not hesitate to call into the school office to find out more. The children have created their class e-safety rules to keep themselves safe online when in school. We also have Acceptable Use Agreements for computers, which detail our school rules for using computers safely. These are sent home so that our children can read through and discuss with parents. Signed copies are then sent back to school so we can keep these alongside our Home School Agreements. Please scroll to the bottom of this page to find copies of these agreements attached, one form each for EYFS, Key Stage 1 and Key Stage 2. 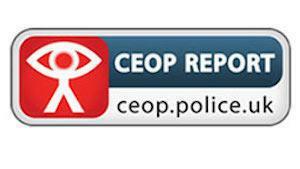 Click on the images for links to other websites for good advice on the safe use of the internet.